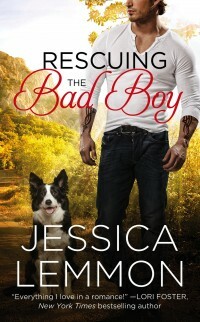 Rescuing the Bad Boy is officially IN to my editor after THE VERY LAST read-through. I originally dreamed up the book in 2010, with a hero who inherited a mansion--the very mansion he grew up in where his father had abused him. The heroine? A good girl who loved him seven years ago, but he didn't return her affections. Over the last five years, those are the three elements of the book that stayed the same. As each year passed, and I learned more of my craft, Donovan & Sofie's book changed. Their jobs shifted. Their pasts, altered. Their family lives bloomed. Friends were introduced who weren't there before. Donovan even got a dog. When I pressed send on this final pass, it felt very final. Like kicking my little bird out of a nest. Donovan and Sofie used to be mine and only mine, but now they are going to belong to the world. I can only cross my fingers and pray that readers will find the same beauty in their story that I did when I wrote it. So with shaking hands and tears in my eyes, I am taking some time today to say goodbye to my baby. This book represents in many ways, the birth of a dream (to be a published author), the toil it took to get it right (3 rewrites), and the sheer passion and sticktuitiveness it took to do away with the old idea and embrace the new (I actually BURNED the original book in the fire pit as a symbolic way of letting go). I hope readers love it, but if they don't, that's okay, too. I know what Donovan and Sofie mean to me. What they've done for me as a writer. How much I owe them for bringing me to right here, right now.